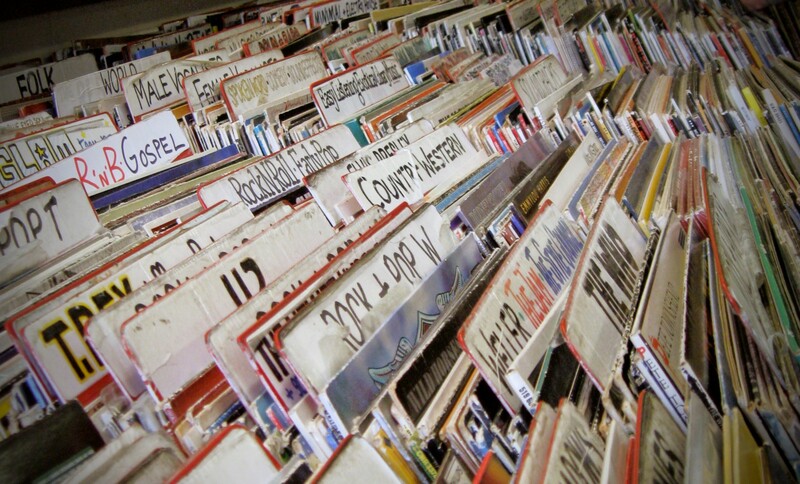 Have you ever wandered into a record store — even though you might not really be a vinyl collector — and just grazed through the plates? Before making a listening selection, you have to browse through them first. And then you have to listen to that selection before making a potential purchase decision. It’s a very time-consuming process. But also highly rewarding because you do the work, and if you finally find that holy grail tapping into your dopamine synapses, there is a sense of satisfaction. But that satisfaction seems ethereal at best in the digital age, where minimal attention span is synchronized with hyperfast streaming, automatic playlists by algorithms, and clicking fast-forward and swiping. With an ever increasing consumable landscape, we have felt the need to suppress our FOMO with quick digital tools. But by doing so, we have lost the human element in discovering music: this is the discovery problem of the digital age. Now let’s imagine not one, but all record stores in the world connected and organized by the artists and customers themselves without being owned by anyone. A massive music hive where anything can be found. However, imagine that there would be no genres, no labels, no sections, no shelves with “crazy rave 90s drum ’n’ bass” or “new wave/gothic/dark stuff”. Do we really want to find records in this infinitely huge record store purely on artist name or a secret algorithm that is only based on the music taste of my friends? It’s pretty clear that if this store is organized by genres, I will find much faster what I’m looking for. And not only with the added satisfaction of being rewarded for my own work, but also with a subcultural context that frames this particular piece of music, a background we call genre. Using music genres as waypoints to guide us through music space is therefore obvious, yet has never been successfully implemented on a granular scale in the digital world, though many have tried. This is not — contrary to popular belief — because we are dealing with subjective definitions. In fact, as musicmap demonstrates, there is a consensus in general terms on almost all music genres what they constitute. The real problem is dual: firstly, most people don’t know about genres because when it comes to the subject of (popular) music, it is often not taught, or people wrongfully assume that certain definitions are interchangeable. Therefore a large fog of ignorance exists, even among young people, that only becomes thicker with increasing number of genres. This fog is kept alive by wrongfully using genre names on various websites, apps, and so forth. Not because consumers or artists want to, but simply because reliable information is scarce or impractical to find, or they prefer one name over the other even if it’s not the truth. This is exactly what fueled musicmap in the first place: looking at the differences, the ambiguities and the underlying quest for truth. Another problem is the use of inadequate algorithms to determine genre. The lack of democratisation surrounding A.I. data hinders development. While A.I. can be useful for mathematically definable genres with a broad scope (using bpm, tonal range, harmonies,…), for more complex and nuanced genres, A.I. needs to evolve and require a lot more data, while also learning from human opinion. Opening up (music) data and implementing human opinion in that data can accelerate A.I. advancement to new levels, so that we can have the convenience of more accurate discovery through algorithms without losing the human touch. Let’s get back to our record store, where I want to find some good music but without having anything in mind. I ask the owner what he would recommend me, because I have been coming to this store before so I assume he knows my taste. But instead of making a contemplated overall decision, he might as well just recommend me something quick based on the Joy Division t-shirt I’m wearing or worse — his personal revelations or whatever he wants to sell yet aligned with my taste to avoid suspicion. This is what we would call in the digital world a “black-box algorithm”. 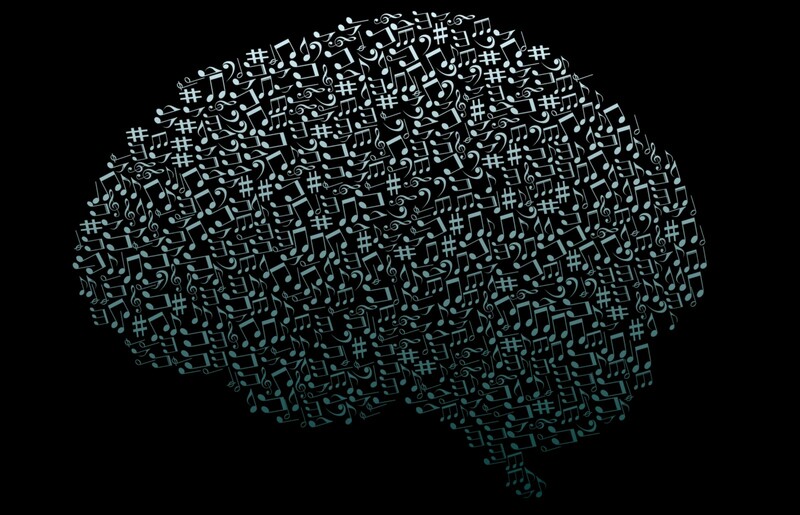 More than we usually realise, our music taste online is being guided by clever computer programs: algorithms who take my music taste as input, analyze it, and search through vast databases of music for a song that is a common denominator of the input. However, what exactly is being analyzed for what time, if other user data is also taken into account, in what year, with or without popularity or trending checks, and how this all relates to the output is unknown except to the original creator. It’s a black box: we don’t know what’s in it and we cannot open it. The added benefit therefore of using an open, sandbox explorer instead of black-box algorithms, provides a more equal chance to all artists. No hot lists or sponsored previews, no pushing of previous taste or my inner circle. If the user has to actively discover music based on genre, navigating through this universe, then each artist has an equal chance of being discovered. Furthermore: your own music taste will become a magnet for pulling community opinion into your discovery journey. This is what made the internet and digital music discovery great in the first place: open discussion and focus on the long tail artists. An easy kickstart platform for beginning musicians. But slowly these traits are waning and the digital music industry seems to be heading the same direction as the old skool labels. We have taken the liberty of the internet for granted, and the consolidation of major record labels should alarm anyone even remotely interested in music. In the latest years, a few things have changed that might be able to tackle our huge challenge of getting all that music organized. 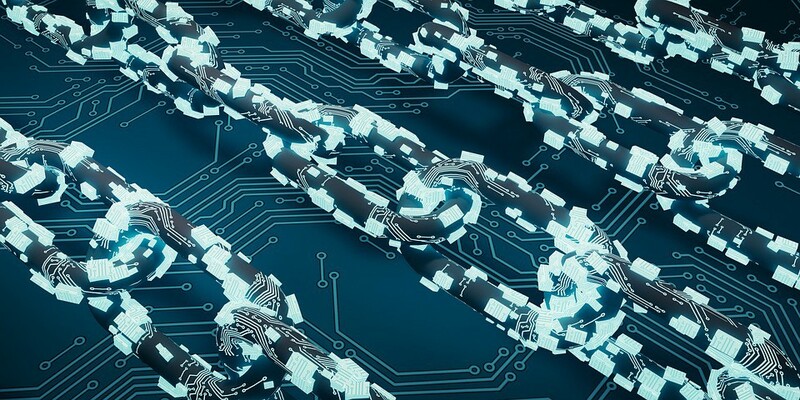 Blockchain — a technology that enables transparent and tamper-proof tracking of any kind of executed action without the use of central servers — has a plethora of possible applications. Imagine an online peer-to-peer network where a magical ledger exists that can never be corrupted and always accessed. On this network, any set of rules, contracts, or games can be written, but once written, it is set in stone. Thus allowing anyone to build a network of trust without a centralized third party. Almost all Blockchain projects make use of (crypto) tokens that were initially invented to reward contributing users who supplied their computer to the network. In time, these tokens could also be used to reward users for providing valuable work, like say, curating a list of songs within a certain music genre. But even without tokens, these peer-to-peer networks provide value that a centralized service cannot. Such a daring endeavour cannot be undertaken alone. We need experienced sailors to guide us through these uncharted waters. That is why musicmap has teamed up with Ocean Protocol, one of the more ambitious and experienced players in the highly dynamic and young realm of blockchain. Ocean Protocol has an even bigger vision: making all data in the world available and put to good use to accelerate benign breakthroughs, primarily aimed at A.I. So what does this all mean? Like many blockchain projects, we want to give everything to the people: power, ownership, but also responsibility. With the use of crypto tokens (like Bitcoin but actually very different) we can design any set of rules and assign value or motivation without central authority. Token holders become their own representatives in the ecosystem, the only shareholders, like a self-sovereign civil community using their own tokens for curating, signaling and maintaining the network. But to encourage mass adoption, we will be looking at frictionless “classic” curation models first, before moving on to what is called “Web 3.0”: blockchain networks. Crypto-economic incentive games are a very hot topic in the blockchain space, but barely known to the average music lover. The power of designing new economies, societies and communities from scratch to Utopia has brought unparallelled enthusiasm and hope in the IT world. Though still rudimentary, we are slowly starting to see the real opportunities blockchain might provide. Using free, non-complex data, musicmap is a perfect testbed for experimental blockchain building tools that help control quality and integrity in one way without a central authority. Token Curated Registries, Curation Markets, Non-Fungible Token Achievements, Off-chain credit systems with on-chain authentication, Curiosity Gamification and other Curation Mechanics are all possible paths with little real-world implementation but a lot of potential. To get through this endeavour will be a big task that should be carried out one step at a time. Hopefully this will not be a one-way operation; we are counting on your help to think, guide, and build towards such a platform. Trying to create thriving ecosystems without step-by-step engagement and feedback from the very community it depends upon, is foolish and those systems are doomed to fail. So the message here would be: start small and open. And experiment with the possibilities. Musicmap can serve as an ideal playground to test cutting-edge curation mechanics and incentives using the best tools of web 2.0 and web 3.0. After a successful incubation phase, things can get really interesting. When a genre list has become sufficiently filled, a self-learning A.I. tool can use this data to suggest new songs based on the existing entries, allowing lists to grow exponentially. As mentioned before, these algorithms will be far from flawless, which is why their work ought to be manually curated using the same mechanics, which then in turn again allows the A.I. to learn and improve. This back-and-forth balance of human curation and automatic A.I. (Human-in-The-Loop development) is probably the only way to master the massive work and to achieve a complete overview, combining the best of both worlds. Artificial Intelligence could determine nuanced concepts like genre. Near or far away? But classification is just one problem we are trying to solve with this platform. Sometimes music genres and music trends are not politically correct. Sometimes they are not only anti-establishment, they even might be shocking. Our record store owner might keep a box of records he doesn’t like in the back, away from customers. The existing knowledge resources of music history that we have is, apart from classical music, already quite limited and the pervasion of subjective or distorted content is always looming around the corner. Replacing all the static information in musicmap written and controlled by one person with dynamic content, curated and controlled by the people would be a huge step forwards. Such a “music genre wiki” could be very powerful in combination with a music database. 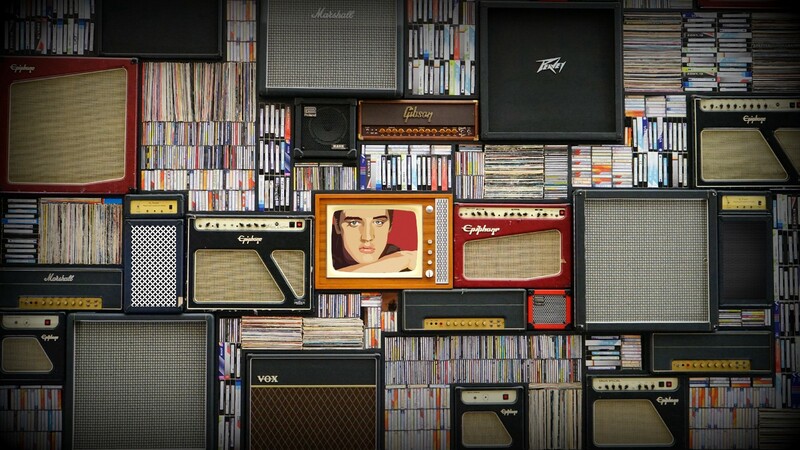 Already, musicmap is being used in many schools across the world to teach about music history. But it would be wise to allow criticism and healthy debate, which in the current state, is not doable. For films we have IMDB, for restaurants we have Yelp, for any game there is a custom Wiki commons portal. So why not try to have this for music, using new, decentralized technologies? A portal that engages an open community of experts, fans and artists that map the music universe together. But the possibilities do not need to stop there. Because communities around genres will automatically form within this network, it makes sense to use this opportunity to motivate them to grow into a social platform, with a lot more actors than merely individual music lovers: artists, labels, venues, festivals, subgenre communities, music magazines, DJ’s, conductors, and so on. The ideas are endless. But let’s start to crawl first. Together. And see how far we can run. I reckon pretty far with all this music in our ears. The Ocean Protocol Network Launch Launch is on the horizon! Register now at https://oceanprotocol.com to participate in the token distribution. Ready to dive in? — check out Dev-Ocean to get a sense of what we’ve been working on, and fire all your technical questions in our Gitter chatroom. Follow Ocean Protocol on Twitter, Telegram, LinkedIn, Reddit, GitHub & Newsletter for project updates and announcements.